The C-MOB cocktail is very strong, featuring four and a half ounces of liquors along with some cola. 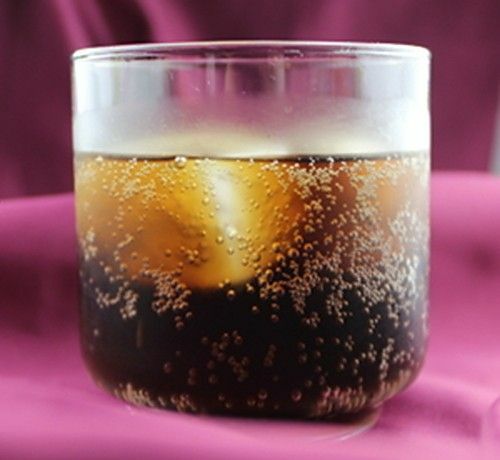 It doesn’t sneak up on you, simply because you can’t put enough cola into an old-fashioned glass along with the liquors to disguise the kick. Aside from its obvious usefulness for when you’re looking to get rip-roaring drunk, this is a nice drink for chilling out. It’s best enjoyed when you won’t be needing to do anything that involves coordination, such as standing up, walking, etc. Put two ice cubes in an old-fashioned glass. Pour in the whiskey and then the vodka, and then fill the rest of the way with cola.